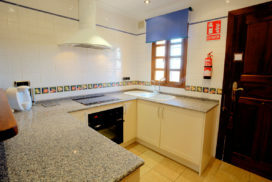 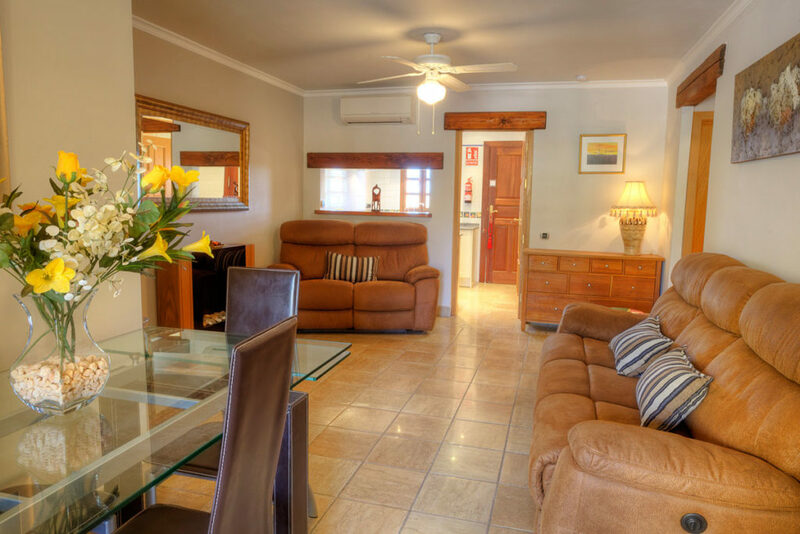 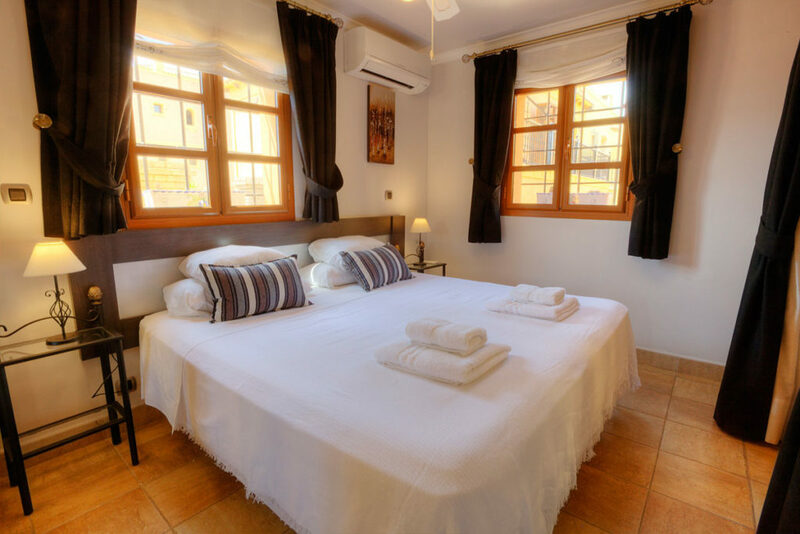 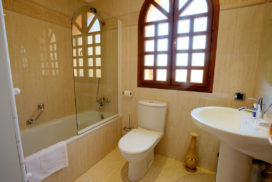 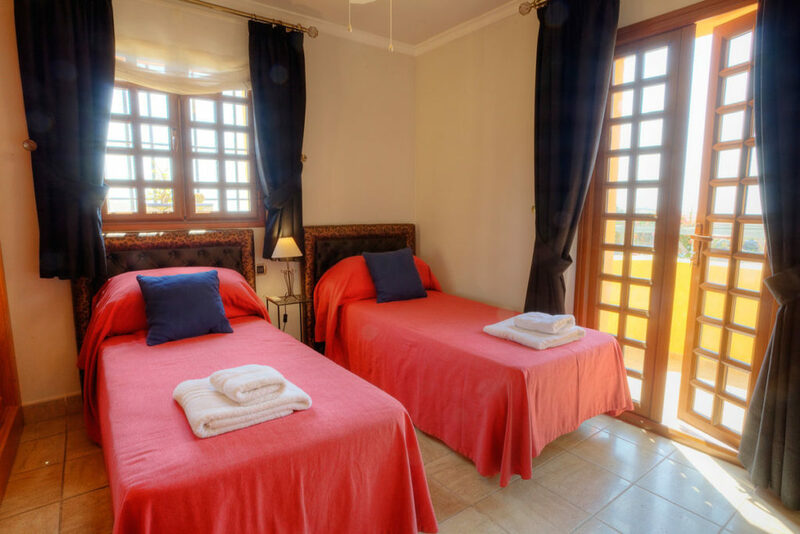 This Spanish style ground floor two bedroom Apartment is located at Las Sierras II. 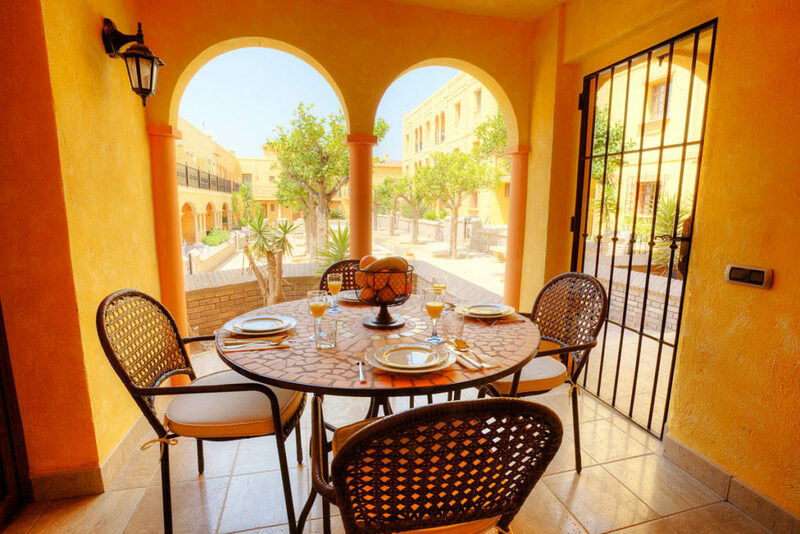 The apartment is beautifully furnished and benefits from views that overlook a tranquil ‘patio andaluz’ lined with orange trees. 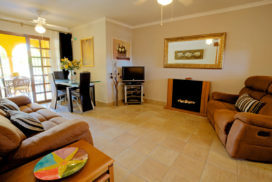 Its location enables direct access to the communal swimming pool and garden area. Lounge A/C Unit, Ceiling Fan (x 2), Satellite TV, DVD Player, Dining Facilities, Patio Doors, Balcony. Master Bedroom with En Suite Double bed, A/C Unit, Ceiling Fan, Bath with overhead shower, WC, Single washbasin. 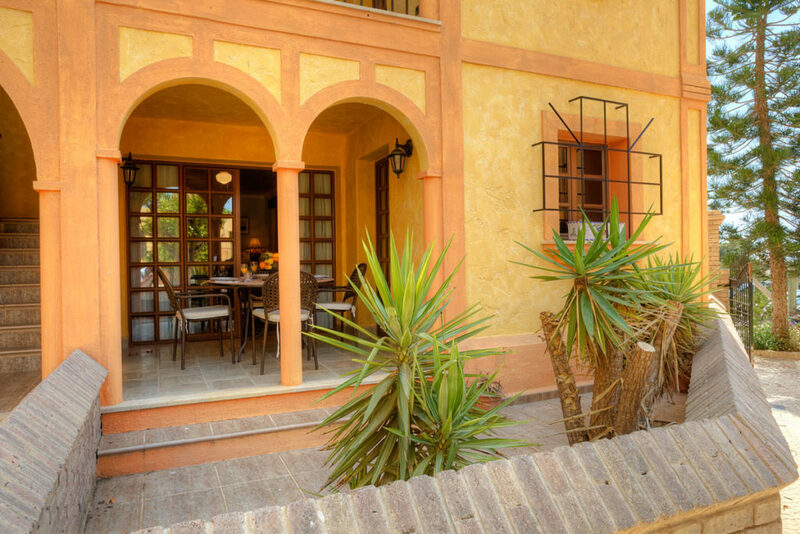 External External Covered Terrace, Roof Terrace.